Welcome to Auction City. Watch your step and your wallet. Andy Destra is a mostly honest cop in the most notoriously corrupt and crime-ridden city in America: Auction City. 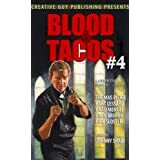 After discovering explosive information that reveals corruption within the highest levels of the police department, Andy is kicked off the force, framed, and disgraced, left to wage a lonely one-man crusade against conspiracies he can’t prove. 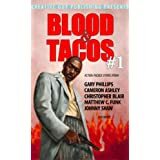 Andy’s investigation plunges him into a blackly comic maelstrom of one-armed gang members, slick pickpockets, criminal syndicates, hired mercenaries, escaped convicts, sewer dwellers, and one sinister ice cream truck. At the same time, he must contend with a mystery closer to home: the true identity of his parents, his most unshakeable obsession. Understanding their past may be the key to Auction City’s future as it teeters on the brink of chaos. If Andy can’t solve this case, the Floodgate will fail…and his city will burn. Jimmy & bobby are back! When you’re all out of crazy ideas, it’s time to try the stupid ones. Twelve years have passed since Jimmy Veeder set foot in the Imperial Valley of southern California. The only person that could bring him back is his father, Jack, who is dying of cancer. Jimmy is prepared to spend Jack’s final days joking and reminiscing, but the old man has other plans. He needs Jimmy to cross the border into Mexico and find a prostitute named Yolanda. It’s a strange final request to be sure, but Jimmy’s not one to argue with a dying man. With his childhood buddy Bobby Maves in tow, he heads south, looking for Yolanda among the seedy bars and neighborhoods along the Calexico/Mexicali border. 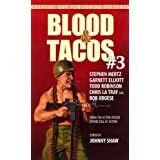 But just when Jimmy thinks his quest has ended, he is sucked in further into the violence and danger of Mexicali. In his fight for survival and search for truth, what he uncovers calls into question everything he thought he knew about his father—and will determine just what kind of man he himself truly is. 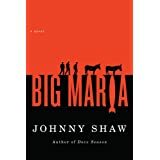 The book is set down where I grew up on the Calexico/Mexicali border in the Imperial Valley desert of southern California. 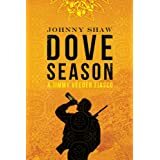 DOVE SEASON is the winner of the Stan Johnson Outstanding Debut Mystery award and was nominated for a Spinetingler Award. Read what other authors have said about DOVE SEASON here.